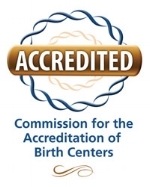 Pacifica Family Maternity Center is an accredited freestanding birth center in Berkeley, California, offering full spectrum midwifery care in a safe, comfortable environment. Our experienced midwives focus on the unique needs of each family during the pregnancy, birth, and postpartum. We are dedicated to serving all birthing families regardless of ethnicity, age, gender, sexual orientation, immigration status, financial barriers, or physical ability. There is also a comfortable group room, cozy prenatal and postpartum rooms, an ample kitchen, a resource library, and convenient parking for when you're in labor. The birth center has two separate, private birthing suites, each equipped with a luxurious tub and spacious bathroom. We are committed to green business practices and a more gentle impact on our environment. Pacifica Family Maternity Center is four short blocks from Alta Bates Hospital and is accessible by public transportation. To learn more about Pacifica Family Maternity Center, please visit our website!